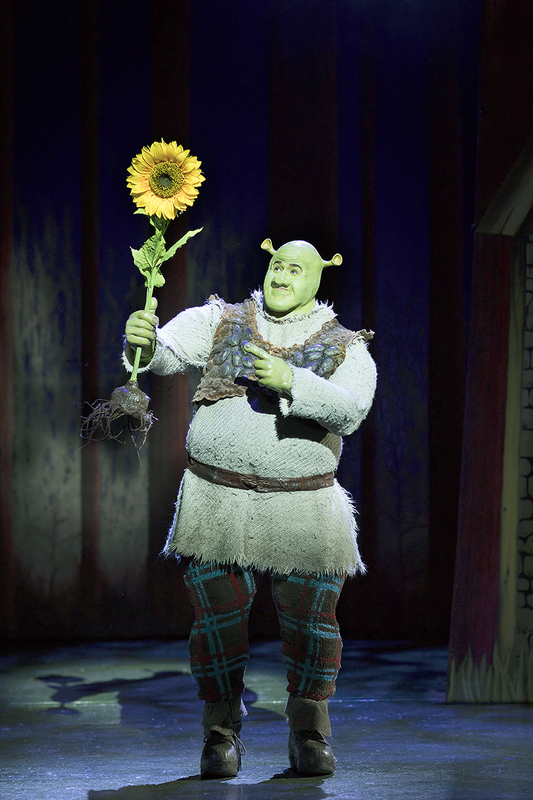 Review: Shrek the Musical. Touring. Theatre Royal Nottingham. – East Midlands Theatre. 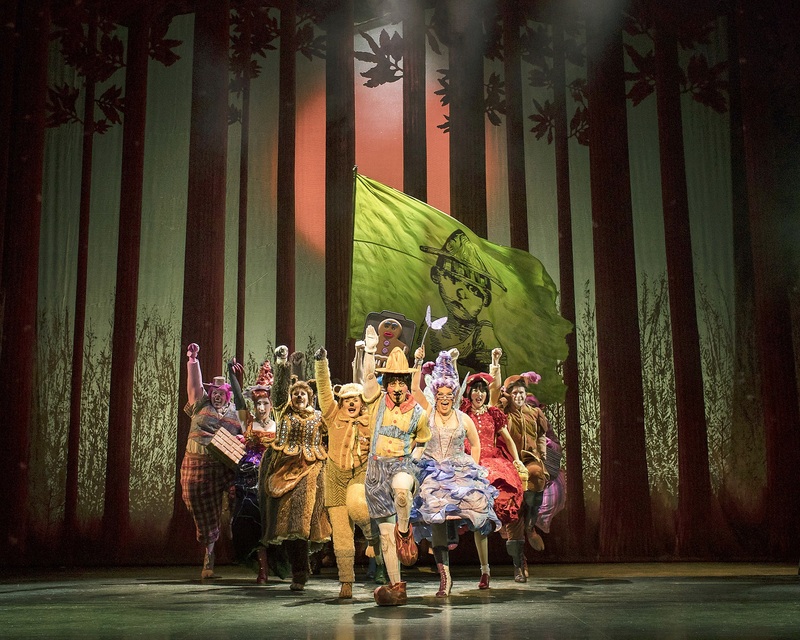 Shrek the musical bursts into life on the Nottingham Theatre Royal stage like a 3D pop up book, complete with all our favourite fairytale characters, and immediately draws us into its fully created world. 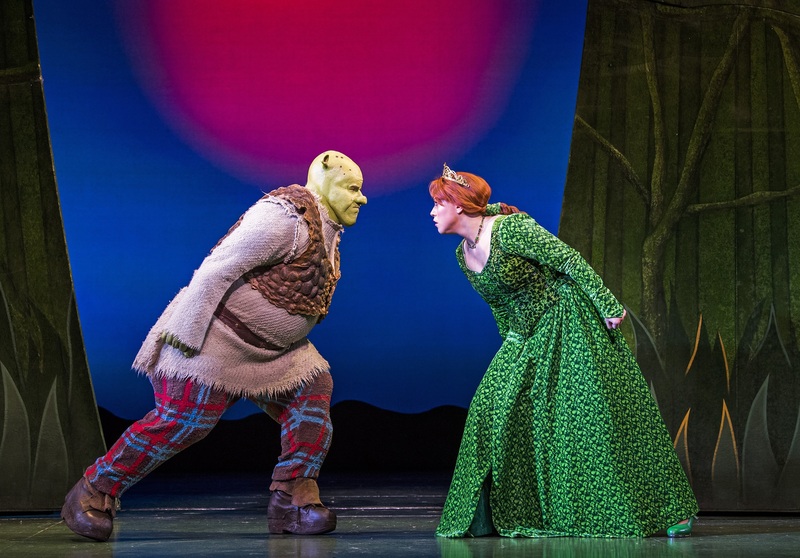 So well acquainted are we with the Shrek franchise through the films that it’s a tall order to translate it to the stage to everyone’s satisfaction – but adults and children alike love every minute of this rip-roaring musical comedy. Based on an original book by William Steig, the film is unique in subverting so many of the clichéd norms of fairytales and Disney constructs, and doing it with panache, subtlety and an array of original characters. A Scottish ogre is our hero, his confidant a talking donkey, and together they rescue a contrary Princess from a castle tower. All this to restore Shrek’s right to live in peace in his swamp and allow the diminutive Lord Farquaad to become King. The set and costume designer, Tim Hatley, grasps the opportunity to make the most of this magical world, creating a colourful, living swamp, imposing castle, floating tower and scary dragon’s den. The dynamic lighting and complex use of projections produce an ever-shifting scene. A combination of clever make-up and indulgent costumes brings each individual to life. 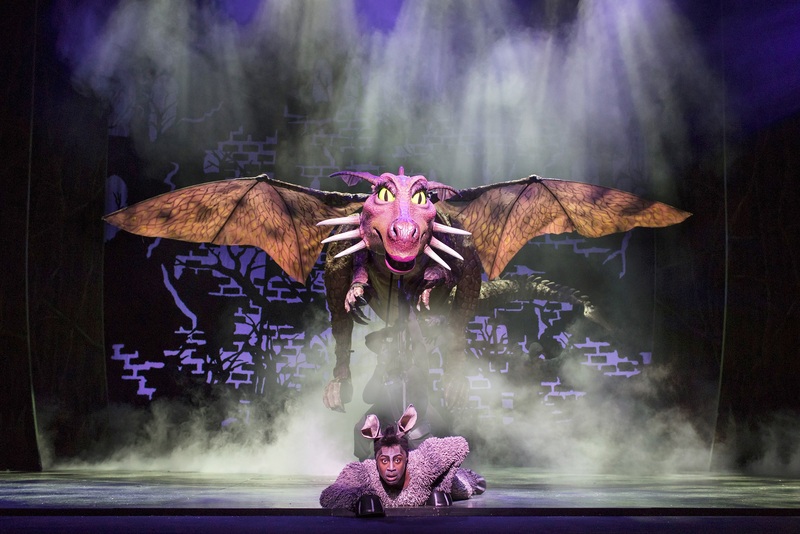 The dragon is a theatrical triumph in its own right, and this level of sophistication and professionalism is what really makes this a stand-out show. Steffan Harri as the gruff Shrek is funny and lovable, and he has an effortless singing voice, which makes his laid-back character easy to warm to. The wise-cracking Donkey, played by Marcus Ayton, struts and grins and sashays his way through the story with sass and style. 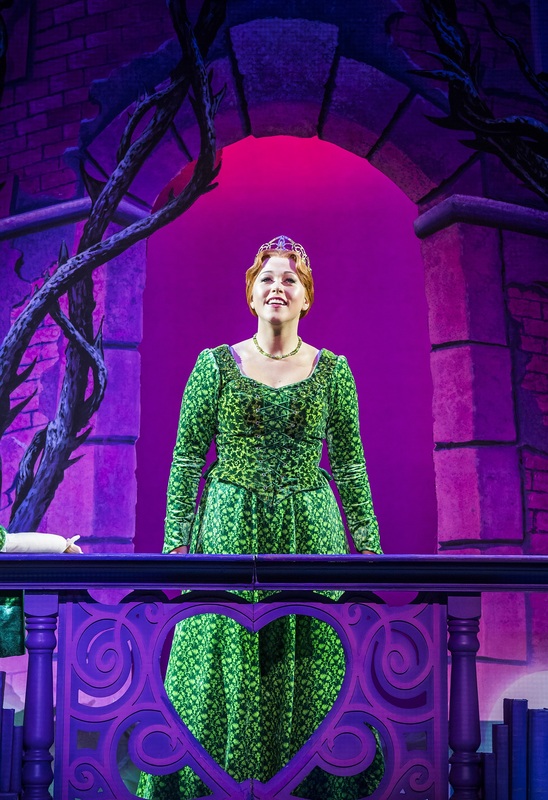 Amelia Lily is Princess Fiona in this performance and portrays a tom-boy, erratic Princess who is far from the fairytale ideal but who captures Shrek’s heart with her belching and air-guitar riffs. 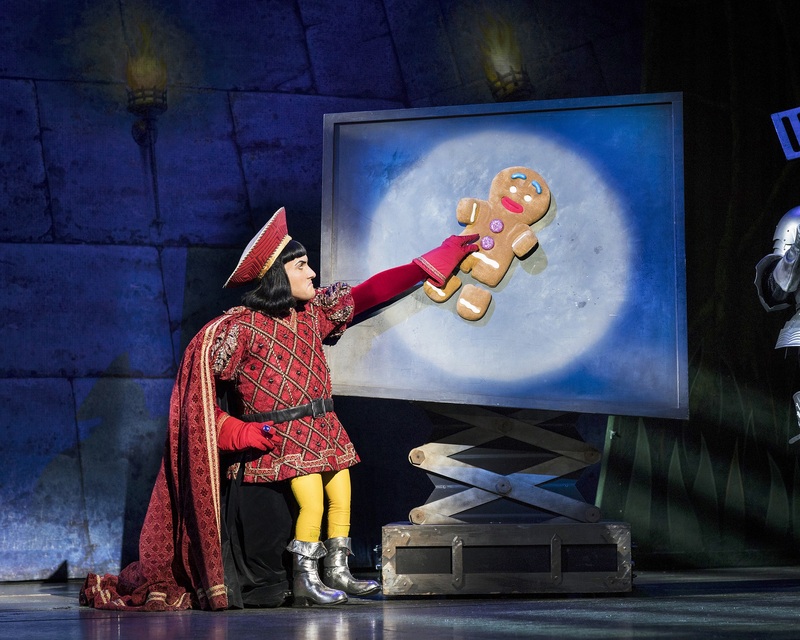 Lord Farquaad almost steals the show – in an incredibly physical performance, Samuel Holmes manages to wring every ounce of comedy from the role. ‘What’s Up Duloc’ is a full-on, jazz hands, song and dance routine with musical, lyrical and physical references to numerous other well-known musicals. The original music throughout uses everyday styles which suit the individual characters, to produce something that feels very familiar, and easy to listen to. The ensemble numbers are fresh and compelling and delivered by a very busy cast who seem to be having the best fun ever. This stage adaptation of Shrek is all that die-hard fans could wish for, and more, and if the Fairy Godmother could wave her magic wand, she’d wish nothing but ‘Happy Ever After’ to the cast and crew. Shrek runs at Nottingham Theatre Royal until Sunday 23 August.